1.2 PLEASE READ THE TERMS CAREFULLY. The Terms set forth the legally binding terms and conditions that govern your access to and use of the Services. By clicking "I ACCEPT" or otherwise accessing or using the Services, you are accepting these Terms of Service on behalf of yourself individually or the entity that you represent, and you represent and warrant that you have the right, authority, and capacity to enter into these Terms of Service on behalf of yourself individually or the entity that you represent. You may not access or use the Services or accept these Terms of Service if you are not at least 18 years old. If you do not agree with all of the provisions of these Terms of Service, do not access and/or use the Services. 1.3 The Terms require the use of arbitration on an individual basis to resolve disputes, rather than jury trials or class actions, and also limit the remedies available to you in the event of a dispute. 2.1 Whale Shark Software has affiliated legal entities ("Affiliates"). Sometimes, these companies will be providing the Services to you on behalf of Whale Shark Software itself. You acknowledge and agree that Affiliates will be entitled to provide the Services to you, and such provision of the Services will be in accordance with and governed by the Terms. 2.2 Whale Shark Software is constantly innovating in order to provide the best possible experience for its users. You acknowledge and agree that the form and nature of the Services which Whale Shark Software provides may change from time to time without prior notice to you. 2.3 As part of this continuing innovation, you acknowledge and agree that Whale Shark Software may stop (permanently or temporarily) providing the Services (or any features within the Services) to you or to users generally at Whale Shark Software's sole discretion, without prior notice to you. 2.5 You acknowledge and agree that if you cancel your account or if Whale Shark Software disables access to your account, you may be prevented from accessing the Services, your account details or any files or other content which is contained in your account. 3.1 Subject to the terms and conditions of the Terms, Whale Shark Software grants you a non-exclusive, non-transferable, non-sublicensable, revocable right to access and use the Services. Further, you agree to use the Services only for purposes that are permitted by (a) the Terms and (b) any applicable law, regulation or generally accepted practices or guidelines in the relevant jurisdictions. 3.2 This Section 3 is qualified in its entirety and subject to Section 7 below. 3.3 You agree that you are solely responsible for (and that Whale Shark Software has no responsibility to you or to any third party for) any breach of your obligations under the Terms and for the consequences (including any loss or damage which Whale Shark Software may suffer) of any such breach. 4.1 During your enrollment for this service, you are required to create a file with us (an "Account") and to provide an email address that will act as your user ID. The email and password combination is the agreed security procedure to access the Services. You agree to keep this information confidential to prevent unauthorized access to your Accounts and to prevent unauthorized use of the Services, and you further agree that you will be solely responsible for any activities or actions taken under your Account, whether or not authorized by you. You must notify Whale Shark Software immediately of any unauthorized use of your password or your Account. We reserve the right to block access to the Services to maintain or restore security to our site and systems, if we believe your login information has been or may be obtained or is being used or may be used by an unauthorized person(s). By using any of the Services, you agree that you are legally allowed and have been given proper permission to access the Services and the information contained within. 4.2 You agree that the information you provide Whale Shark Software to create your Account will be true, accurate, current, and complete. By creating an Account, you consent to the use of (i) electronic means to complete the Terms and to provide you with any notices given pursuant to the Terms; and (ii) electronic records to store information related to the Terms or your use of the Services. 5.1 You agree that you are solely responsible for and that Whale Shark Software has no responsibility to you or to any third party for any content that you create, transmit or display while using the Services and for the consequences of your actions, including any loss or damage which Whale Shark Software may suffer by doing so. 6.1 "Intellectual Property" shall mean, with respect to Whale Shark Software (a) all inventions whether patentable or unpatentable and whether or not reduced to practice, all improvements thereto, and all patents, patent applications and patent disclosures filed in any jurisdiction, together with all reissuances, continuations, divisionals, continuations-in-part, revisions, extensions and reexaminations thereof; (b) all trademarks, service marks, trade dress and design marks including, without limitation, domain names, uniform resource locators, logos and slogans, including all goodwill associated therewith, and all applications, registrations and renewals in connection therewith; (c) all works of authorship and other copyrightable works and all copyrights subsisting under the applicable laws of any jurisdiction and all application, registrations and renewals in connection therewith; and (d) all trade secrets including, without limitation, ideas, research and development, know-how, formulas, compositions, business practices, object code, source code, software, hardware, systems, techniques, tools, solutions, processes, procedures, methods, methodologies, applications, day-to-day business operations, technical data, designs, drawings, specifications, customer and vendor lists, pricing, cost and financial information, and business and marketing plans and proposals. For the avoidance of doubt, Intellectual Property includes any and all additions, modifications, derivative works and improvements thereto. 6.2 You acknowledge and agree that Whale Shark Software is the sole owner of all right, title and interest in and to the Services and any and all Intellectual Property related thereto. Whale Shark Software reserves all rights in and to any and all Intellectual Property, and in the event that any such rights vest in you or any of your representatives, you hereby irrevocably and unconditionally assign, and shall cause all such representatives to irrevocably and unconditionally assign, to Whale Shark Software all such rights. No right, license or transfer of ownership of any Intellectual Property is granted or shall be granted by implication. All rights, licenses and transfers of ownership, if any, are granted only as expressly provided in the Terms. 6.3 Unless you have agreed otherwise in writing with Whale Shark Software, nothing in the Terms gives you a right to use any of Whale Shark Software's trade names, trade marks, service marks, logos, domain names, and other distinctive brand features. 6.4 Whale Shark Software acknowledges and agrees that it obtains no right, title or interest from you or your licensors under the Terms in or to any content that you submit, post, transmit or display on, or through, the Services. You agree that you are responsible for protecting and enforcing those rights and that Whale Shark Software has no obligation to do so on your behalf. 6.5 You agree that you shall not remove, obscure, or alter any proprietary rights notices including copyright, trademark and servicemark notices which may be affixed to or contained within the Services or any Intellectual Property related thereto. 6.6 You agree that in using the Services, you will not use any trade mark, service mark, trade name, logo of any company or organization in a way that is likely or intended to cause confusion about the owner or authorized user of such marks, names or logos. 7.1 Except as explicitly authorized by the Terms or with Whale Shark Software's prior written consent, you shall not (i) distribute, transmit, license, rent, sell, lease, transfer, assign, host or otherwise commercially exploit the Services and any Intellectual Property related thereto, whether in whole or in part; (ii) modify, copy, reproduce, translate, create derivative works from, reverse engineer, decompile, disassemble or attempt in any way to reconstruct or discover the source code for the Services or any Intellectual Property related thereto; or (iii) access or use the Services to build a similar or competitive website, product, mobile application or service. 7.2 You must comply with any technical restrictions on the Services and any Intellectual Property related thereto that allow you to access or use the Services only in certain ways. Unless otherwise indicated, any future modification or other addition to the functionality of the Services shall be subject to the Terms. 7.3 All copyright and other proprietary notices on the Services and any Intellectual Property related thereto must be retained on all copies thereof. You shall not use the Services to take any action, or assist others in taking any action, that (i) is unlawful, abusive, threatening, harmful, obscene, defamatory, libelous or fraudulent, (ii) violates the personal privacy rights of others, (iii) victimizes, harasses, degrades or intimidates any individual or group of individuals, (iv) constitutes an attempt to impersonate any person or entity, (v) is intended to omit, delete, forge or misrepresent information, (vi) is intended to cloak the identity or contact information of you or others, (vii) infringes upon or misappropriates any intellectual property of any third party, (viii) interferes with or disrupts access to or use of the Services by Whale Shark Software or others, (ix) results in the disclosure of confidential or insider information, or (x) involves the use of any viruses or other programs intended to interfere with, intercept or expropriate any system, data or personal information. 8.1 The Terms will continue to apply until terminated by either you or Whale Shark Software as set out below. (D) The provision of the Services to you by Whale Shark Software is, in Whale Shark Software's sole opinion and discretion, no longer commercially viable for Whale Shark Software. 8.3 Nothing in this Section shall affect Whale Shark Software's rights regarding provision of Services. 8.4 When the Terms come to an end, all licenses and other rights granted to you under the Terms will immediately cease. We will not be liable to you or any other person for termination of the Services or termination of your use of the Services. Upon any termination of these Terms or your access to the Services, your Account and any information or content associated therewith may no longer be accessible to you. Furthermore, Whale Shark Software will have no obligation to maintain any information related to your Account or to forward any such information to you or any other person. 9.2 Any material downloaded or otherwise obtained through the use of services is done at your own discretion and risk. You will be solely responsible for any damage done to your computer system or device or loss of data that results from the download of any such material. 9.3 No advice or information, whether oral or written, obtained by you from Whale Shark Software or through or from the services shall create any warranty not expressly stated in the terms. By accessing and using the Services, you agree not to sue or institute any cause of action or legal proceeding of any nature against Whale Shark Software or any of its affiliates, or its or their respective officers, directors, employees, representatives, agents, licensors, licensees, successors and assigns (collectively the "Released Parties") for, and agree to release, acquit, forever discharge and compensate and hold harmless the Released Parties from and against, any and all costs, damages (actual, consequential, special, incidental, indirect, exemplary, punitive or otherwise), losses, liabilities, claims or expenses (including attorneys' fees) of any kind and nature, known and unknown, suspected and unsuspected, disclosed and undisclosed (collectively, "Damages"), arising out of, relating to, or in any way connected with your access or use of the Services. IF YOU ARE A CALIFORNIA RESIDENT, YOU HEREBY WAIVE CALIFORNIA CIVIL CODE SECTION 1542 IN CONNECTION WITH THE FOREGOING, WHICH STATES: "A GENERAL RELEASE DOES NOT EXTEND TO CLAIMS WHICH THE CREDITOR DOES NOT KNOW OR SUSPECT TO EXIST IN HIS OR HER FAVOR AT THE TIME OF EXECUTING THE RELEASE, WHICH IF KNOWN BY HIM OR HER MUST HAVE MATERIALLY AFFECTED HIS OR HER SETTLEMENT WITH THE DEBTOR." IN NO EVENT SHALL ANY RELEASED PARTY BE LIABLE IN CONNECTION WITH OR ARISING OUT OF THE TERMS OR ANY ACCESS TO OR USE OF THE SERVICES UNDER ANY CONTRACT, NEGLIGENCE, STRICT LIABILITY OR OTHER LEGAL OR EQUITABLE THEORY FOR: (I) ANY INCIDENTAL, INDIRECT, EXEMPLARY, PUNITIVE, SPECIAL OR CONSEQUENTIAL DAMAGES, INCLUDING, WITHOUT LIMITATION, LOSS OR INTERRUPTION OF USE, LOSS OR CORRUPTION OF DATA OR LOSS OF PROFITS, OR (II) THE COST OF PROCUREMENT FOR SUBSTITUTE PRODUCTS OR SERVICES, IN EACH CASE EVEN IF THE COMPANY HAS BEEN ADVISED OF THE POSSIBILITY OF SUCH DAMAGES OR COSTS. IN NO EVENT SHALL LIABILITY OF ANY RELEASED PARTY IN CONNECTION WITH THE AGREEMENT OR ANY ACCESS TO OR USE OF THE SERVICES EXCEED THE FEES PAID BY YOU TO WHALE SHARK SOFTWARE UNDER THE TERMS DURING THE 12 MONTHS IMMEDIATELY PRECEDING THE EVENT GIVING RISE TO SUCH LIABILITY. WHALE SHARK SOFTWARE SHALL HAVE NO LIABILITY FOR ANY FAILURE OR DELAY DUE TO MATTERS BEYOND OUR REASONABLE CONTROL. THE FOREGOING SHALL NOT APPLY TO THE EXTENT PROHIBITED BY APPLICABLE LAW. UNDER NO CIRCUMSTANCES WILL WHALE SHARK SOFTWARE HAVE ANY LIABILITY HEREUNDER FOR ANY INCIDENTAL, INDIRECT, CONSEQUENTIAL, COLLATERAL, EXEMPLARY, PUNITIVE OR SPECIAL DAMAGES INCURRED BY USERS OF WHALE SHARK SOFTWARE, REGARDLESS OF HOW SUCH DAMAGES ARISE, WHETHER OR NOT WHALE SHARK SOFTWARE WAS ADVISED SUCH DAMAGES MIGHT ARISE. TO THE GREATEST EXTENT PERMISSIBLE UNDER APPLICABLE LAW, IN NO EVENT SHALL WHALE SHARK SOFTWARE BE LIABLE TO ANY USER OF WHALE SHARK SOFTWARE FOR ANY DAMAGES, DIRECT OR OTHERWISE. IN THE EVENT OF A SERVICE OUTAGE, WHALE SHARK SOFTWARE MAY CHOOSE, AT ITS SOLE DISCRETION, TO PROVIDE A SERVICE CREDIT TO USERS AFFECTED BY THE OUTAGE. THE DECISION TO OFFER A CREDIT, THE AMOUNT AND THE TIMING OF THE CREDIT IS AT THE SOLE DISCRETION OF WHALE SHARK SOFTWARE. THIS PROVISION DOES NOT IN ANY WAY OBLIGATE WHALE SHARK SOFTWARE TO DECLARE OR PROVIDE A SERVICE CREDIT FOR ANY SERVICE OUTAGE. 11.1 You on behalf of yourself individually or the entity that you represent agree to defend, indemnify and hold Whale Shark Software and all of its subsidiaries, affiliates, officers, directors, agents, contractors, and employees harmless from any liability to third parties, including reasonable attorneys' fees, arising from or related to (i) your breach of these Terms, (ii) a dispute between you and another user, or (iii) your use of the Services. 12.1 Service Fees. We calculate and bill fees and charges monthly. We may bill you less frequently based on usage or we may bill you more frequently if we suspect that your account is fraudulent or at risk of non-payment. You will pay us the applicable fees and charges for use of the Services as described on the Whale Shark Software site using one of the payment methods we support. All amounts payable by you under this Agreement will be paid to us without setoff or counterclaim, and without any deduction or withholding. 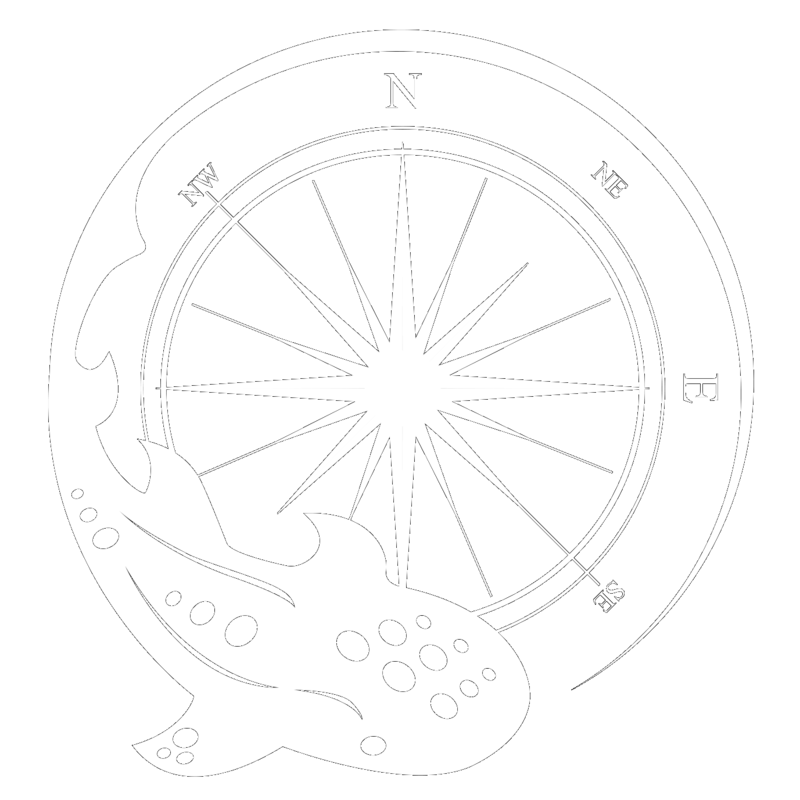 Fees and charges for any new Services or new features of a Service will be effective when we post updated fees and charges on the Whale Shark Software site, unless we expressly state otherwise in a notice. We may increase or add new fees and charges for any existing Services you are using by giving you at least 30 days' prior notice. We may elect to charge you interest at the rate of 1.5% per month (or the highest rate permitted by law, if less) on all late payments. 12.2 Payment. By using this service, you agree to pay Whale Shark Software the billed amount upon receipt of the bill delivered electronically (via email and/or via the application). If you are paying electronically by bank account or credit card you may choose to allow Whale Shark Software to automatically debit and/or credit your bank account and/or credit card account for any charges incurred for as long as your account remains open. In order to stop this automatic debit of your account you must notify us of payment changes or requested account closure. You are responsible for any charges up until a payment change or account closure. You are further authorizing Whale Shark Software to debit or credit your account in the event of an error in the amount of the debit. 12.3 Taxes. All fees, charges, and other amounts payable by you under the Terms are exclusive of taxes and similar assessments. Without limiting the foregoing, you are responsible for all sales, use, and excise taxes, and any other similar taxes, duties, and charges of any kind imposed by any federal, state, or local governmental or regulatory authority on any amounts payable by you in connection with your use of the Services, other than any taxes imposed on Whale Shark Software's income. 13.1 The Services may include hyperlinks to other web sites or content or resources. Whale Shark Software may have no control over any web sites or resources which are provided by companies or persons other than Whale Shark Software. 13.2 You acknowledge and agree that Whale Shark Software is not responsible for the availability of any such external sites or resources, and does not endorse any advertising, products or other materials on or available from such web sites or resources. 13.3 You acknowledge and agree that Whale Shark Software is not liable for any loss or damage which may be incurred by you as a result of the availability of those external sites or resources, or as a result of any reliance placed by you on the completeness, accuracy or existence of any advertising, products or other materials on, or available from, such web sites or resources. 14.1 Whale Shark Software may make changes to the Terms from time to time. When these changes are made, Whale Shark Software will make an updated copy available to you from within, or through, the affected Services. 14.2 You understand and agree that if you use the Services after the date on which Terms have changed, Whale Shark Software will treat your use as acceptance of the updated Terms. 15.2 The Terms constitute the whole legal agreement between you and Whale Shark Software and govern your use of the Services, and completely replace any prior agreements between you and Whale Shark Software in relation to the Services. 15.3 You agree that Whale Shark Software may provide you with notices, including those regarding changes to the Terms, by email, regular mail, or postings on the Services. 15.4 You agree that if Whale Shark Software does not exercise or enforce any legal right or remedy which is contained in the Terms or which Whale Shark Software has the benefit of under any applicable law, this will not be taken to be a formal waiver of Whale Shark Software's rights and that those rights or remedies will still be available to Whale Shark Software. 15.5 If any provision of the Terms is held to be invalid, then that provision will be removed from the Terms without affecting the rest of the Terms. The remaining provisions of the Terms will continue to be valid and enforceable. 15.6 The Terms, and your relationship with Whale Shark Software under the Terms, shall be governed by the laws of the State of North Carolina without regard to its conflict of laws provisions. All claims and disputes (whether contract, tort, or otherwise), including all statutory claims and disputes, arising out of or relating to these Terms or the use of the Services that cannot be resolved in small claims court shall be determined by final and binding arbitration in Wake County, North Carolina before a single arbitrator. Judgment on the arbitral award may be entered in any court having jurisdiction thereof. The foregoing arbitration provisions shall not preclude either party from seeking an injunction or other provisional remedies in aid of arbitration from a court of appropriate jurisdiction. The arbitrator shall, in the arbitral award, allocate all or part of the costs of the arbitration, including the fees of the arbitrator and reasonable attorneys' fees of the prevailing party, for payment by the non-prevailing party, and shall determine the prevailing party for this purpose. The parties further agree that (i) any claims brought by either party must be brought in such party's individual capacity and not as a plaintiff or class member in any purported class or representative proceeding, and (ii) the arbitrator may not (a) consolidate more than one person's claims, (b) otherwise preside over any form of a representative or class proceeding or (c) award class-wide relief. 15.7 For the avoidance of doubt, if you are an individual accessing or using the Services on behalf of an entity, you represent and warrant that you are an authorized representative of such entity with the full legal power and authority to bind such entity to the Terms and enter into the Terms on behalf of such entity. This DATA AND PRIVACY AGREEMENT (hereinafter referred to as "Agreement") is between the "Client" and Whale Shark Software. Whale Shark Software recognizes the importance of protecting user data and confidential information. This Agreement applies to all of the products, services and websites offered by Whale Shark Software; collectively referred to as "Services". This document explains how the Agreement is made up, and sets out some of the terms of that agreement. "Users", as described in this Agreement, are individuals who use Whale Shark Software Services. Whale Shark Software does not sell, rent, trade or loan personal User data to third parties for any purpose. 1.1 Personal Information Users Provide. Users are individuals who are affiliated with the Client, and in some cases the User and Client may be the same. When a User creates an account for a Whale Shark Software secure website, the User (or in some cases another individual from the Client) may provide personal information. The User may also provide contact information to enable Whale Shark Software support Services to contact the User from time to time as needed. This information will never be used for solicitation by third parties. 1.3 Log information. When Users access a Whale Shark Software website, Whale Shark Software servers automatically record information the browser sends whenever a website is visited. These server logs may include information such as the User's web request, Internet Protocol address, browser type, browser language, the date and time of the request and one or more cookies that may uniquely identify the User's browser. This information is used to assist with troubleshooting and improve user experience. 1.4 User communications. When a User sends email or other communications to Whale Shark Software, Whale Shark Software may retain those communications in order to process the inquiries, respond to requests and improve Whale Shark Software Services. Services provided by Whale Shark Software frequently involve the handling of sensitive, strictly confidential information. Whale Shark Software takes appropriate security measures to protect against unauthorized access to or unauthorized alteration, disclosure or destruction of data. These measures also include internal reviews of Whale Shark Software data collection, storage and processing practices and security measures, as well as physical security measures to guard against unauthorized access to systems where Whale Shark Software stores data. Whale Shark Software restricts access to data to Whale Shark Software employees, contractors and agents who need to know that information in order to operate, develop, support or improve Whale Shark Software Services. These individuals are bound by confidentiality obligations and may be subject to discipline, including termination and criminal prosecution, if they fail to meet these obligations. Whale Shark Software continuously monitors its services to ensure they are responsive to Users, even at periods of high load. As necessary, Whale Shark Software upgrades its infrastructure (including hardware, software and network connectivity) to maintain a high level of user satisfaction. Whale Shark Software takes all reasonable steps to ensure that upgrades do not negatively impact Users. Most upgrades are performed with little downtime during off-peak hours. The Client owns the data entered or exchanged through use of Whale Shark Software services. Clients may request backups of their data at any time, if adequate notice is provided. Clients are entitled to integrate data entered or exchanged through use of Whale Shark Software Services with any other application, including those not operated by Whale Shark Software. Whale Shark Software regularly reviews its compliance with this Agreement. All trademarks used in this document are properties of their respective owners.